*) For mobile phone / navigator - combi mode - pair mobile phone with navigator. 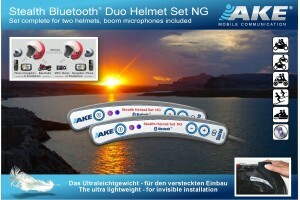 This stereo-enabled Stealth Bluetooth Helmet Set NG with its elegant design makes a connection possible to every Bluetooth-capable mobile phone, audio or navigation system. Fully compatible with BMW K 1600 GT! The Stealth Bluetooth Helmet Set NG is specially made for motorbikes and includes one ultra-light Bluetooth box, one driving and windnoise compensated helmet microphone, two flat helmet speakers, one replaceable battery and one travel charger. With an integrated booster the Stealth Bluetooth Helmet Set NG offers excellent music in stereo as well as a comfortable communication even at high speeds, intelligibility at 140 km/h very good, at 160 km/h good. Easy handling at helmets with neck guard, with the ergonomic design the Stealth Bluetooth Helmet Set NG can be integrated almost invisibly and is weather protected. 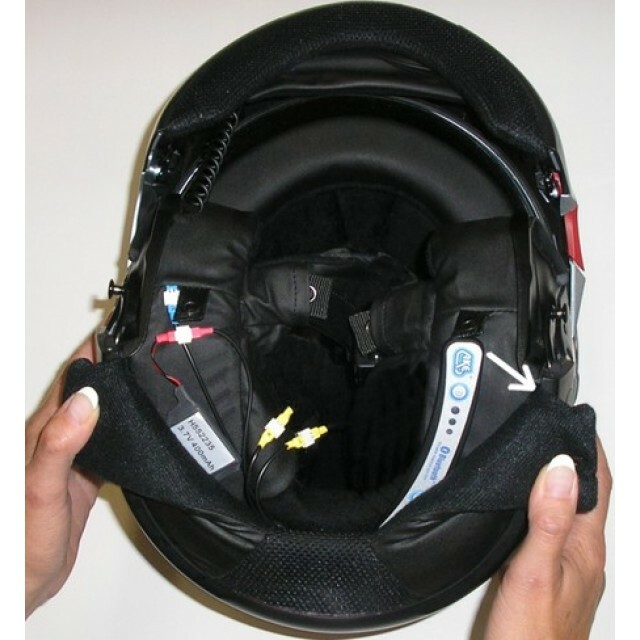 At helmets without neck guard the electronic box can be mounted on helmet bottom side by using the optionally available protective bag. 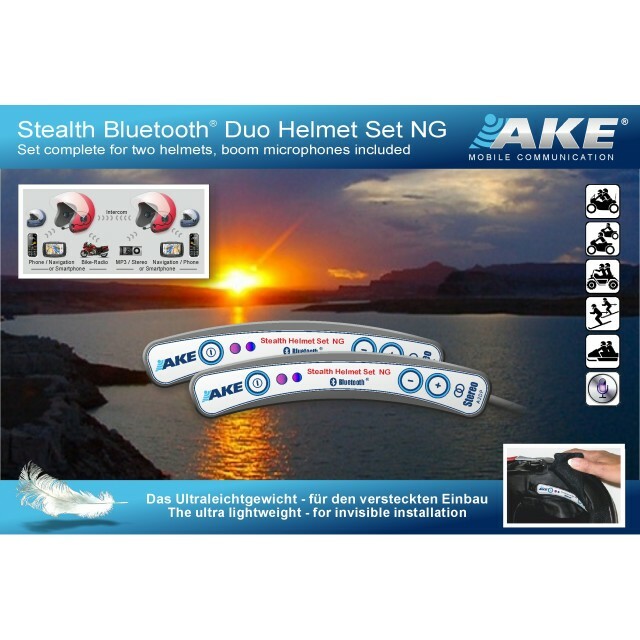 The AKE Stealth Bluetooth Helmset NG is available either as single or as duo set and offers the communication for driver and passenger as well as the communication from bike to bike. 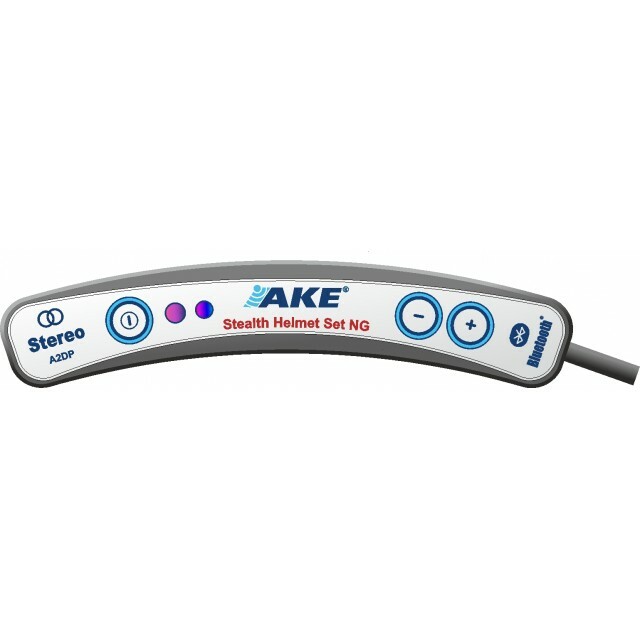 Additionally to the intercom operation, each AKE Stealth Bluetooth Helmet Set NG can individually be connected to a mobile phone, GPS, MP3, etc.. The integrated control electronics handles the automatic switching on every mobile phone or navigation activity.